We have a hotel in Norheimsund, venerable Thon Hotel Sandven. The hotel idyllically situated in the centre of Norheimsund, right on the fjord with its own beach zone. Norheimsund is a short drive from Bergen and is a town in Kvam here in Hordaland county with just over 4,000 inhabitants. Shipyards and open maritime workshops with activities for all. Create a rope, play boat or rent traditional rowing boat. Variety of exhibitions and films. Handicraft product for sale. The cafe has homemade snacks. The vessel protection centre is located in the centre of Norheimsund. 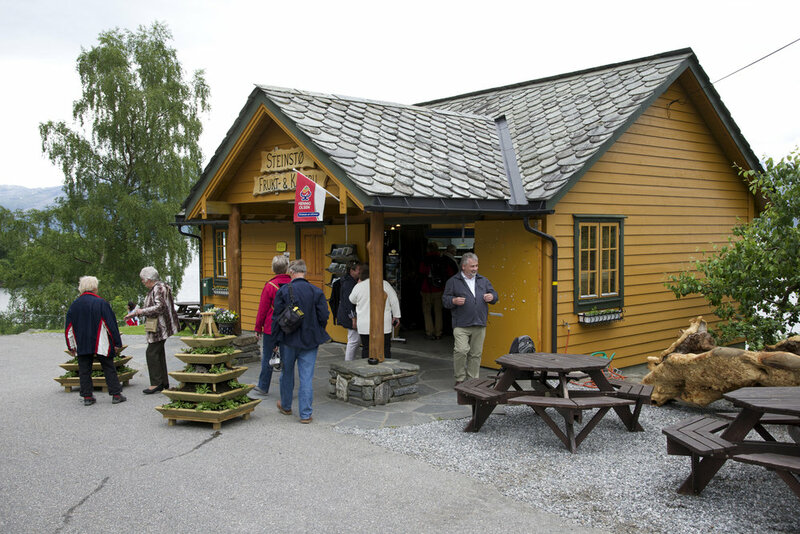 Café with local product, home baked food, and cakes with a front view of the Hardangerfjord and Folgefonna ice glacier. Kabuso has a shop with a selection of art books, drawing materials and gift items. At Kremen everything is made from scratch and only with the best ingredients, to ensure that our customers get the best flavours when they shop with us. Café with a catering company. Homemade food. Kaffimat is one of the cafés in Straumen centre in Norheimsund. Specialties include espresso, cappuccino, caffé latte and other coffee drinks, lunch dishes such as salads, panini, baguettes and the like. Every Thursday (outside of the summer months,) I serve local dumplings, that you can enjoy in the cafe or you can take them home. We also offers catering, please contact for offer! In the summer, we move to a location on the quayside in the guest harbour in Norheimsund, when weather permits. The inside location is then closed and in bad summer weather, it is reversed.